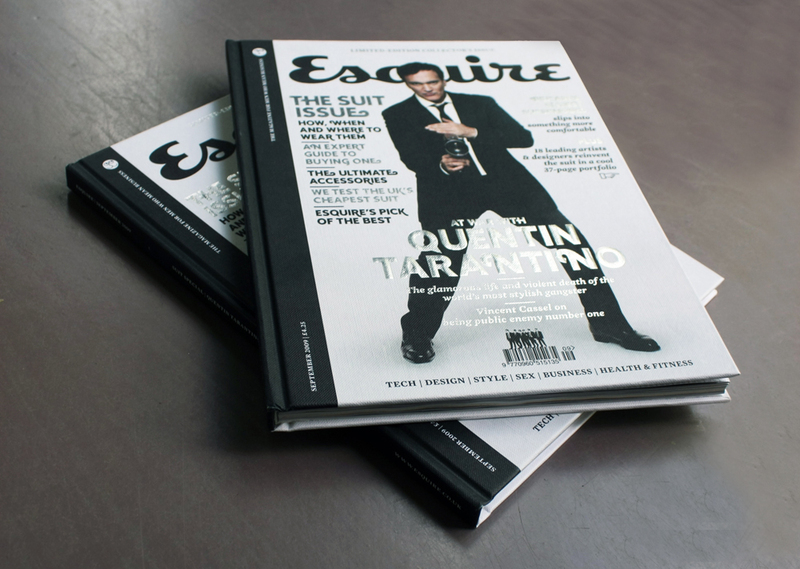 The British version of style magazine Esquire has produced something special for its ‘Suit Issue’ in September, writes Sara Martin, in the form of a limited edition, hardback collectors’ edition. This is a first for Esquire, though it’s been an ambition of art director David McKendrick ever since he redesigned the magazine. You can get the hardback version in the South of England and East Anglia, while the normal perfect bound ‘soft’ version of the magazine will be available nationwide. The hardback cover has been very well printed and bound by specialists Butler Tanner & Dennis, with an ambitious and successful use of silver foil on the front – even the small italicised text is sharp and strong. The monochrome colour scheme makes it pleasingly unfussy – there’s a sophisticated feel to it. 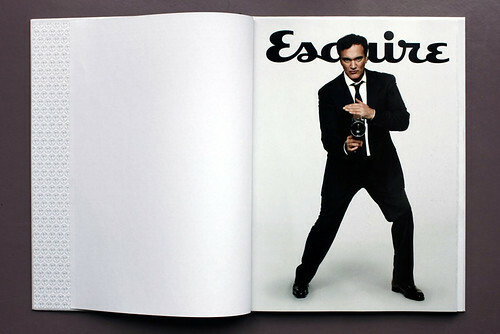 The endpapers are patterned with the Esquire logo; turn the page and there’s another version of the cover on coated stock without coverlines (below), which continues the book-like feel. Although this hardback edition is a first for Esquire, we were reminded of Eros magazine (see Archive piece in Eye 25) art-directed by Herb Lubalin and edited by Ralph Ginzburg, formerly an articles editor at Esquire in the 1950s. 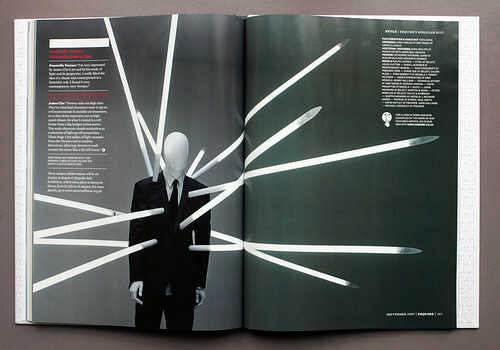 Below: spreads from ‘Esquire’s Singular Suits’ section.